With the build up to Valentines Day now in full swing, I’ve turned my attention to what to get for Tim. I find the valentines stuff in shops far too tacky and think a homemade treat says a lot more so I thought I’d give Dairy Free Truffles a go. Break the chocolate into squares and blitz in the food processor until it looks granular, like sugar. Place the cream, butter and whiskey (or alcohol of your choice) in a saucepan and bring to simmering point. With the motor of the food processor on, pour the heated cream mixture through the feeder of the processor and blend until smooth. Add the yogurt to the mixture and blend. Transfer the mixture to a bowl and allow to cool. When cool, cover with clingfilm and leave in the fridge overnight. The mixture will be quite runny, this is normal and it will thicken up overnight. In the morning, lay out small paper cases to present the truffles in. Then, take the mixture out of the fridge, divide into balls (to make the different flavour truffles), remembering to leave each ball in the fridge until you need it, to prevent it from melting. Plain Truffles: Sift the cocoa powder on to a flat plate. Take a heaped half teaspoon of the mixture and either dust with cocoa powder for a rustic look or dust your hands with icing sugar, roll the mixture into a ball and then roll in the cocoa. Place the truffle in a paper case. Remember to try to handle the truffle as little as possible to prevent it melting. Vermicelli Truffles: Sprinkle the vermicelli on to a flat plate. Take a batch of mixture and after dusting your hands in icing sugar, roll a heaped teaspoon of mixture in the vermicelli to form a coating. 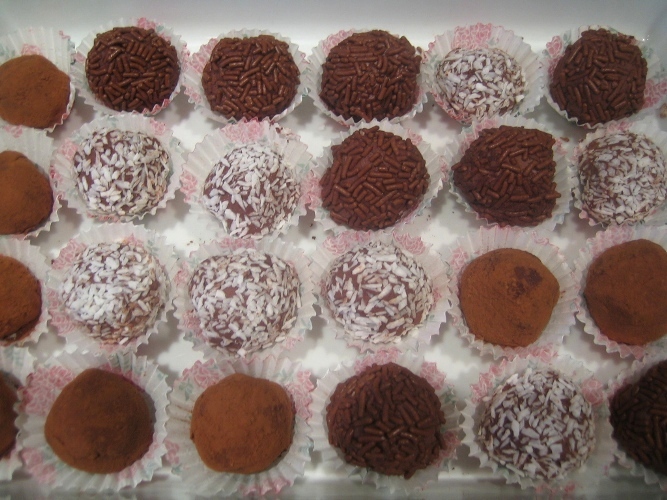 Coconut Truffles: Repeat the instructions as above, using coconut instead of vermicelli. The world of dairy free truffles is your oyster – get stuck in, get messy and enjoy (and if it’s a special Valentines gift, the recipient will definitely be feeling the love!). Happy Valentines Day Fussy Foodies! 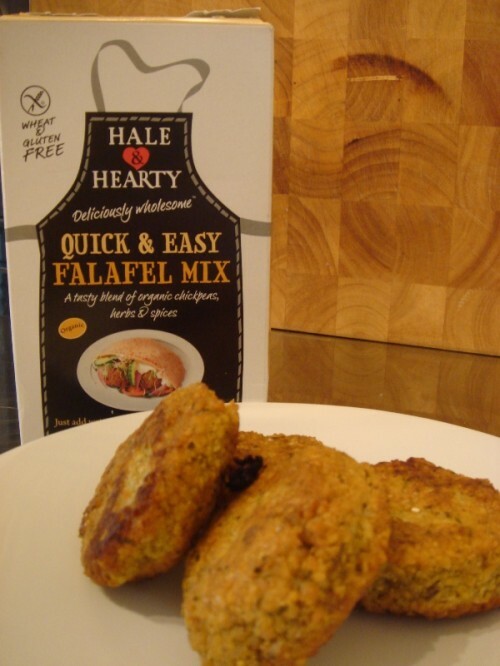 * NOTE – I found this recipe on Delia Smiths website and have tweaked it to make the truffles fussy foodie friendly. Top Tip – to keep the truffles slightly more secure in the box and prevent them from rolling around, I mixed up a very sticky paste with icing sugar and put a small blob under each paper case before putting the truffles in the box.